Who Issued the First Credit Card? Even though they’re ubiquitous today, have you ever wondered when people first started using credit cards? It’s easy to take for granted what credit cards should look like, how they should function, and even how they’re advertised, but what we’re accustomed to wasn’t always the case. 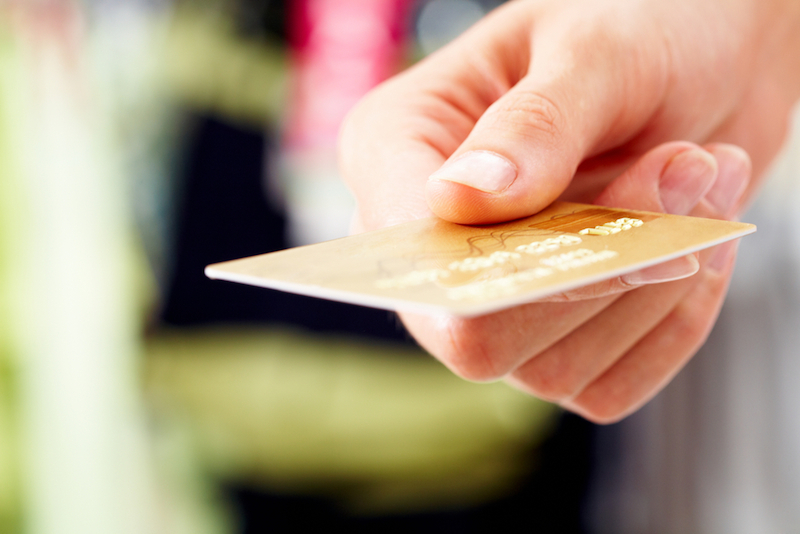 Take a quick stroll down memory lane as we review the credit card’s history. Credit coins were used in the 1800s by department stores, hotels and oil companies. The coins were given to regular customers, so they could make pay for good or services with store credit. The coins usually had the customer’s account number, so when a purchase was made, the number could be easily imprinted on paper. This minimized clerical errors. However, since the customer’s name was generally not included on the coin, this method made them vulnerable to fraud. In the early 1900s, oil companies and department stores switched to charga-plates. Charga-plates—which were developed in 1928—were little rectangular sheets of metal (not unlike dog tags) kept in leather or paperboard inserts and embossed with a customer’s name, city, state, account number, and sometimes on the back, their signature. Like credit coins, charga-cards made life easier for bookkeepers by minimizing clerical errors. To document purchases, paper was laid on top of the cards and a machine would imprint the info from the card with ink. Unlike the credit cards we use today, credit coins and charga-cards were generally kept in the stores that issued them. Even when customers carried charga-cards, they could only use them at the store that issued them. It wasn’t until the 1940s that cards would start to resemble what we have today. It wasn’t very long until third parties seized the opportunity to be middlemen for credit transactions. Local businesses would turn to banks and other credit issuers to bill customers for their credited purchases, which would save businesses lots of time and money in bookkeeping and bill collecting. Customers were also satisfied with third party creditors since their cards granted them the opportunity to shop on credit at a variety of stores. The first bank card ever issued, called the “Charge-It” card, was introduced by a man named John Biggins in 1946 through Flatbush National Bank of Brooklyn. Customers would use the card to make purchases and businesses would deposit their sales slips in the bank. The bank would then bill the customer, and the customer would have to repay their debt by the end of the month. Although only local businesses participated, for the first time this allowed customers to use a single card at a variety of stores. Shortly after the “Charge-It” came the Diner’s Club Card in 1949. The founder, Frank McNamara, was inspired to create the card after he was embarrassed when he forgot to bring his wallet to a restaurant. At first, the Diner’s Club cardboard charge card was for restaurant bills only. Like the Charge-It card, the Diner’s Club card was a charge card. This meant that customers would have to pay the entire amount when restaurant billed them, and the balance could not be carried over into the next month. The Diner’s Club card became so popular that by 1951 there were 20,000 cardholders. In 1961, the Diner Club’s cardboard card was replaced with plastic. However, the Diner’s Club was not the first to use celluloid plastic. Their competitor, American Express, would be the first to introduce customers to plastic cards in 1959. By the early 1960s, cards were starting to look a lot like the cards we’re familiar with, but they weren’t functioning in the same way. The Charge-It, Diner’s Club, and American Express cards were on a closed loop system, which meant the cards could only be used at certain stores. It wasn’t until 1966 that banks came together to lay the foundation for an open loop system. Subsequent cards could be used at a broader range venues and institutions, so long as merchants accepted the issuer. The final element that differentiated cards of the past from credit cards as we know them today was the option to carry a revolving balance. In other words, many card issuers required that the full balance be paid at the end of the month. However, cards started to adopt the idea of a revolving balance as time went on. For example, although revolving balances were introduced in 1959, American Express didn’t issue its first credit card with a revolving balance until 1987. It’s easy to take a credit card’s celluloid plastic construction, the open loop system, and the convenience of a revolving balance for granted, but it took a long time for the most recent version of the credit card to come to be what it is today. If the past is any indication of the future, there’s much more to look forward to. Recent experimentation with biodegradable cards and smart chip technology confirms that the credit card is ever evolving and here to stay—for a little while longer, at least.